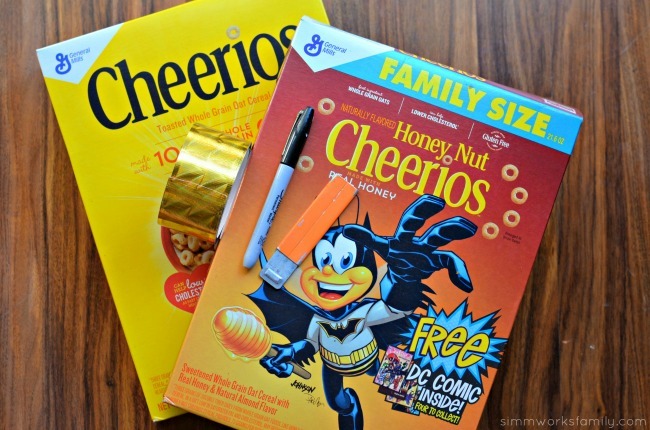 This DIY cereal gift box idea sponsored by Cheerios is a great way to wrap up any gift AND upcycle those cereal boxes you have laying around! Father’s Day is right around the corner and the kids are happily making fun gifts for my husband at school. But since I know my husband, and know he needs more than just the cute gifts, I decided to pick up a few other necessities for him as well. 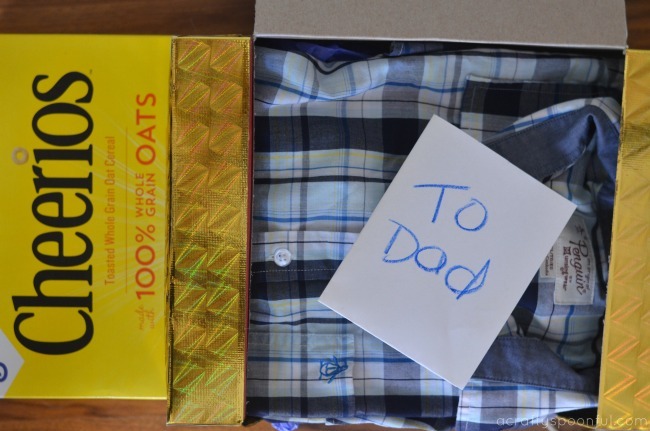 Including his favorite Cheerios cereal and a polo shirt (his signature look). 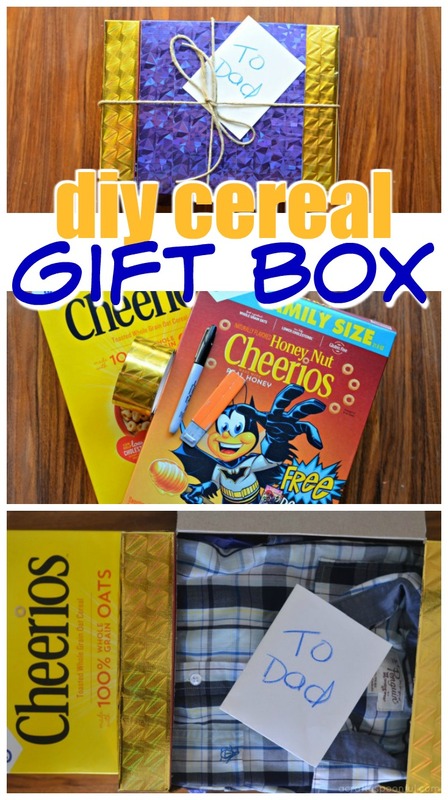 Since my husband does so much for us at home, I thought that we could shower him with a little more love all wrapped in a DIY cereal gift box we upcycled from our cereal boxes. 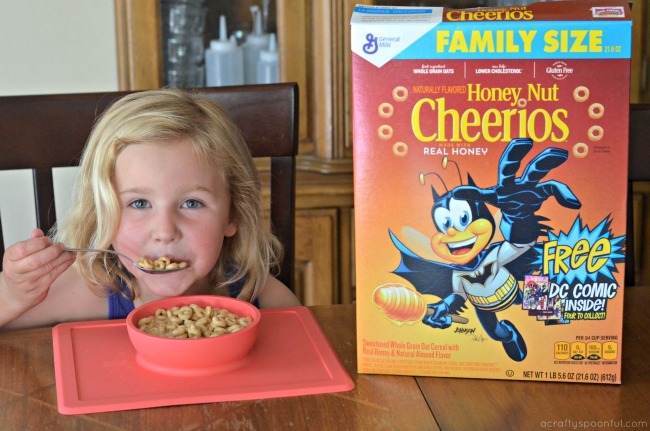 Plus, in addition to making gift boxes out of our empty cereal boxes, we can also give back even more with the help of Cheerios. Making these gift boxes are easy! And with a few simple supplies found around the house, you can make a few up yourself in no time. Plus, you won’t have to worry about pulling down the big storage bin of wrapping supplies to gift wrap. Easy peasy! Here’s how! 2. Using the lines you just drew as guides, carefully use a box cutter to score the lines. Then go over them again once more to cut all of the way through. Open up the lid to make sure it works properly. 3. Using tape, seal the top of the box where you open to remove the cereal. 4. Continue to tape box until outer shell of box is covered. 5. Line box with tissue paper and place present inside. Cover with more tissue paper and tie lid down with twine. Add a card and give your gift! 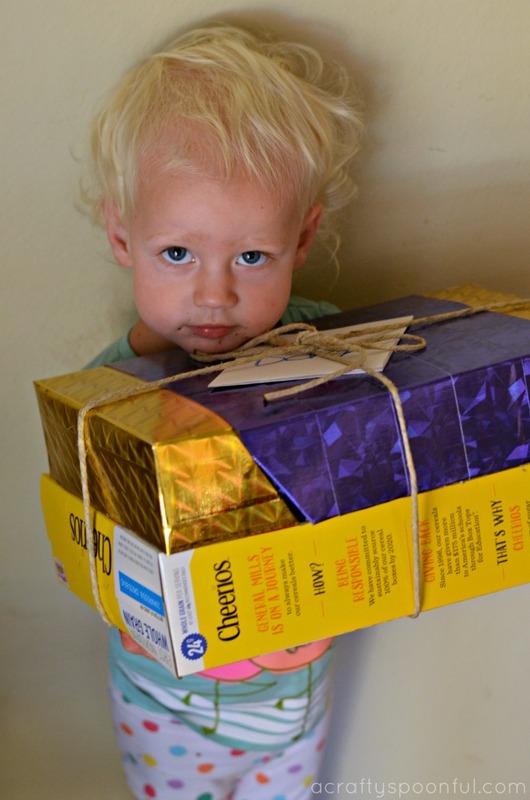 Right now you can give the gift of Cheerios by participating in the buy a box, give a box promotion. Simply purchase a specially marked package of your favorite variety of Cheerios, enter the code found inside here, and send a coupon for a free box of Cheerios to someone you love! Now, not only can Dad get a delicious box of Cheerios with his gift, he can also choose to gift Cheerios to someone else. Spreading the love, one box at a time. Who would you share a box of Cheerio’s with? 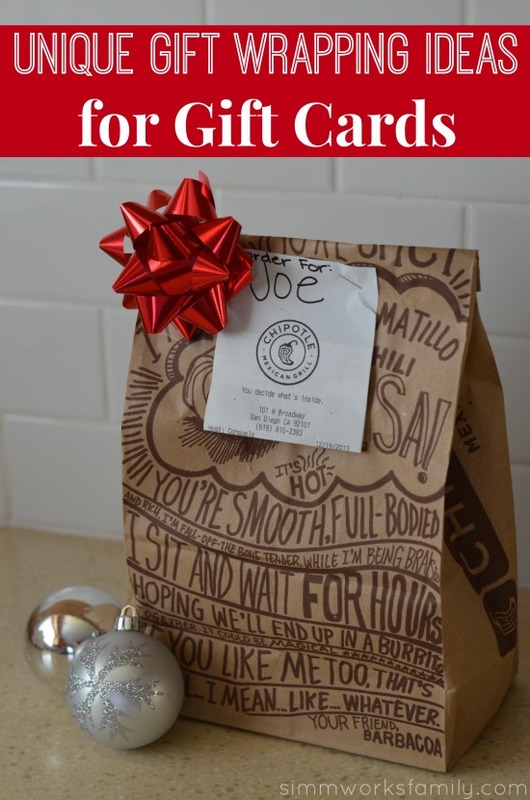 What do you do when you draw your uncle’s name in the gift exchange and all he asks for is “anything Rams” or a Chipotle gift card? 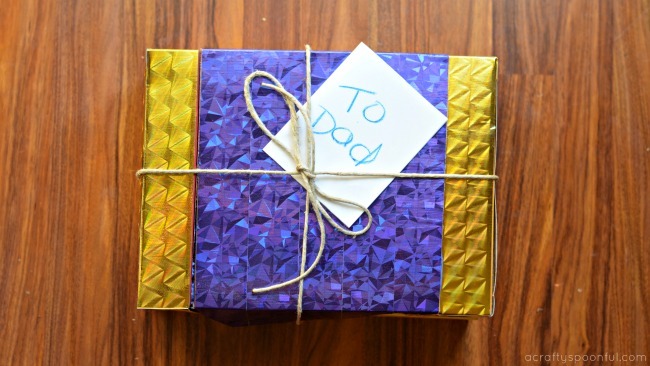 Well… you have a little fun with the presentation and think of unique gift wrapping ideas! While I was walking up to the counter at Chipotle ready to order my gift card I noticed all of hte wrapped burritos in foil. So when I ordered my gift card I also asked for a to-go bag and a piece of foil. I had an idea and wanted to see if it’d work well for my gift.